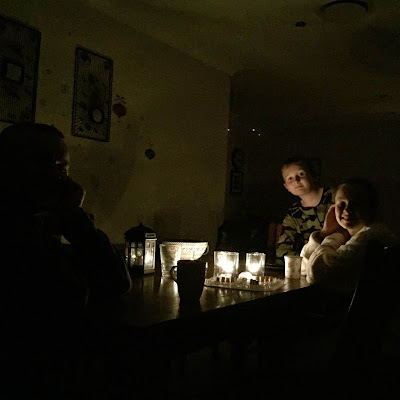 It's eerie as we enter Day 5 without power. We've been told it may be sometime next week before it returns. In the meantime we listen to the emergency broadcasts on ABC radio using our battery powered radio. We light candles and keep moral up with board games and snacks. It's a novelty but it's wearing thin a little. The only consolation is that we are all safe and well and under one roof. We haven't lost any of our possessions and we have fared much, much better than many people across our region. We have a lot to be grateful for.